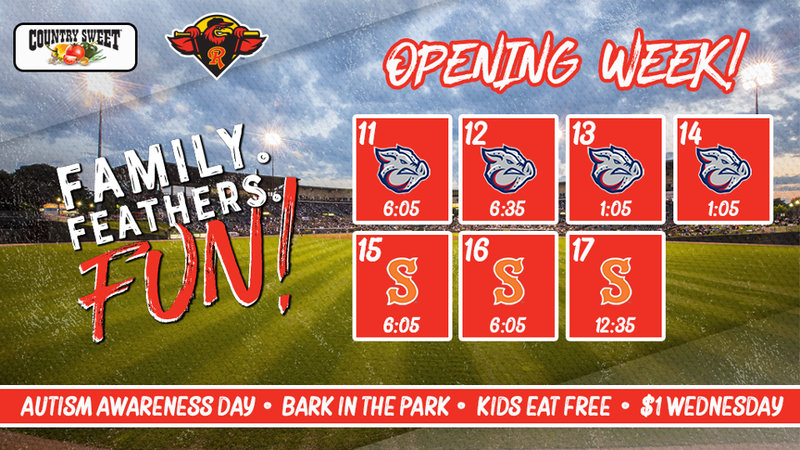 The Red Wings opening homestand of the season wraps up Wednesday with $1 hot dogs, peanuts, Cracker Jack and chips! First pitch set for 12:35 pm. Tickets for all 70 Red Wings home games can be purchased online at RedWingsBaseball.com, over the phone at (585) 423-WING (9464) or at the Red Wings Ticket Office from 9-5 Monday-Friday and 10-2 on Saturdays. $1 WEDNESDAY: Get $1 hot dogs, peanuts, Cracker Jack and chips every Wednesday courtesy of Zweigle's, DiPaolo Baking Company and Democrat & Chronicle.